Following numerous reports regarding their existence, a new pair of AirPods were seemingly certified recently by Bluetooth SIG. Usually, these certifications mean a release is just around the corner and, according to one industry insider, this may actually be the case. Despite not making an appearance at either of Apple’s fall hardware events, tipster Ice Universe has today claimed that the AirPods 2 will “definitely” be announced this year. The insider failed to specify an exact date but the information would suggest that an announcement later this month is highly likely. After all, with the holiday sales season just around the corner, the Cupertino-based giant will presumably want to take advantage of it as soon as Black Friday and Cyber Monday sales are over. In regards to what can be expected from Apple’s second-generation AirPods, reports are pointing towards a largely unchanged external design that now integrates water resistance. This will be combined with improved battery life and always-on-Siri, two things that should be possible thanks to a new audio chip. The audio accessory is also expected to launch with a new wireless charging case that will be available as a separate accessory. This will allow users to charge both the AirPods and the case by simply placing it on top of a compatible charger. 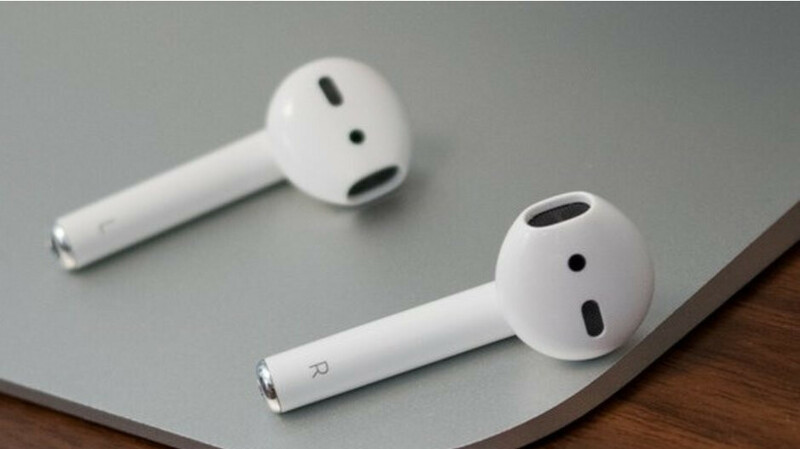 At this moment in time, it’s unclear if the new pair of AirPods will be sold alongside the original or if they will replace them entirely. Considering Apple’s recent trend of pushing up prices, though, a slightly higher price tag is to be expected. Apple has become too greedy. Yeah but why are you salty? They ain't forcing you to buy anything. Oh sorry, I shouldn't have touched your sensitive feelings. Sorry for mistaking you for someone else. Just wanna know....is maherk a fanboy or not? And is he right about me being a fanboy?? If the ear part do not have a rubber coating, or at lease able to add a rubber cover & still fit the charging case, I will be so disappointing. No one i know can wear the ear pods at 1 always falls out there ears. When apples products are successful then butthurt says apple is too greedy! I guess itsnot our faults if we can afford expensive products and prefer apple premium products. Its not our loss,its the loss of butthurt people coz they can’t get apple’s latest product for cheap. Sure, I believe you. Guess, you don't understand what financial planning means for retirement? Unlike you, with all the needless junk, I wont be worrying about retirement. Btw, pods sound average at best; try comparing in person. I've been wanting to replace my Bluetooth headphones, but undecided on something like the airpods or larger over ear headphones. The headphones would have better sound and block out more environment sound, but wireless earbuds would be portable. First world problems.. I hope we get a little more than water resistance. I love my AirPods but it’s been two years since the 1st generation product so I expect more improvements. I know there’s room for improvement. I hope the design changes a little bit to accommodate noise cancellation. I am in love with my air pods and I hope the new version of them to be way too good.